Eleven of Nigeria’s most promising athletes have been included in the latest International Olympics Committee (IOC) scholarship scheme ahead of the 2020 Olympic Games in Tokyo. 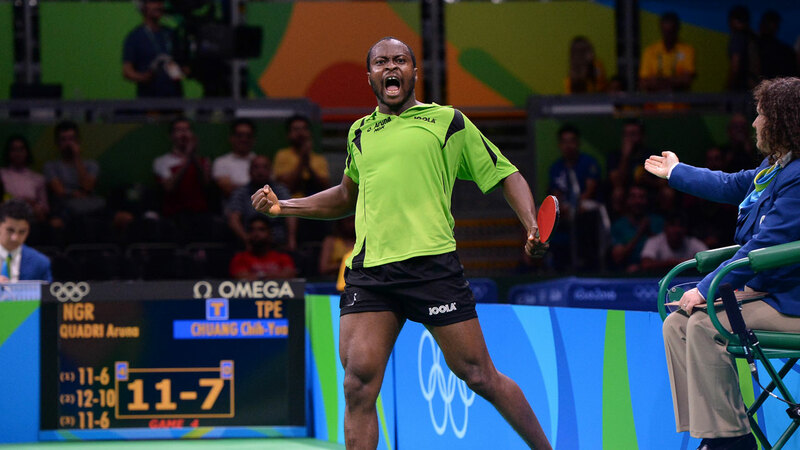 The list is headlined by fast-rising 100 metres hurdler and reigning Commonwealth Gold medallist, Oluwatobiloba Ayomide Amusan and Portugal based table tennis star, Aruna Quadri. The deal brokered by the Nigeria Olympic Committee (NOC) also include Commonwealth Games Wrestling champion in the 53kg category, Odunayo Adekuoroye, 10-time African Champion Blessing Oborodudu (Wrestling) and Nathaniel Glory Onome (Athletics). Others include Nathaniel Samson (Athletics), Adeniyi Aminat (Wrestling), Adesanmi Oluwatoyin (Weightlifting), Italy based table tennis talent, Omotayo Olajide and the Taekwondo duo of Adamu Abubakar and Otuadinma Uzoamaka. Reacting to the development, NOC President, Habu Gumel said the scholarships would go a long way in exposing the athletes to quality training facilities, specialized coaching, regular medical and scientific assistance, as well as lodging and travel costs to Olympics qualification competitions. “These eleven athletes were carefully selected out of the numerous applications from Nigerian athletes home and abroad. We would have wanted more slots, but we just had to make do with the available slots given to Nigeria by IOC,” Gumel said. The NOC President also made an appeal for corporate organizations to help ease the burden on the Federal Government, Sports Federations and athletes by supporting and sponsoring Nigerian athletes as they prepare for the Tokyo 2020 games. “Qualifying for the Olympics is capital intensive and without heavy financial backing,” Gumel said. “Athletes and Federations find it difficult to train properly and even attend the numerous competitions which serve as qualifiers for the Olympics. Twelve Nigerian athletes benefitted from the IOC scholarships in the lead up to the Rio 2016 Olympics including Blessing Okagbare, Ese Brume, Ejowkoghene Divine Oduduru, and Odunayo Adekuoroye.